Freezing pipes are a serious hazard during cold winters. Water expands as it freezes, which can cause pipes to break. Then, when the ice melts, water flows out of the pipes and through any breaks or cracks, potentially causing serious water damage in your home or business. Here are a few tips for preventing pipes from freezing, as well as advice about how to fix the situation if it does happen. The best way to prevent freezing pipes is to take action before the weather turns cold. Apply insulation to pipes that are located outside or in unheated areas of your home or commercial property, such as basements and crawl spaces. Pipe sleeves and other products that are designed for this specific purpose are most effective, but even wrapping newspaper around the pipes can reduce the risk of freezing. When freezing weather is forecast, set your home thermostat to maintain a temperature of at least 55 degrees at all times, even at night or when you're away from your home. You’ll spend slightly more on your heating bills, but avoid the potentially devastating costs of a burst pipe. Drain the water from pipes outside your house, including swimming pool and sprinkler supply lines. Drain and remove outdoor hoses and close the valves that supply them. If you aren’t able to insulate all your pipes, then run a trickle of water through the pipe to help reduce the risk of it freezing. Open the faucet connected to an exposed pipe very slightly during cold weather to keep the water moving and prevent it from turning to ice. If you turn on a faucet and no water comes out, or the flow is only a trickle, then the pipe is likely frozen. Keep the faucet open and locate the frozen section of pipe. Use a heating pad or hair dryer to gently melt the ice in the pipe until water comes out of the faucet at normal pressure. 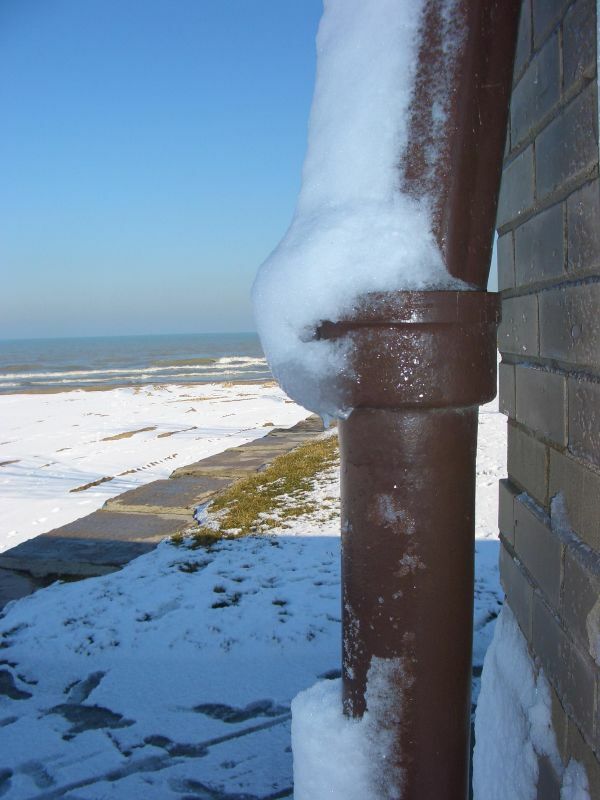 can help you to safely thaw your pipes without causing a flood in your property.